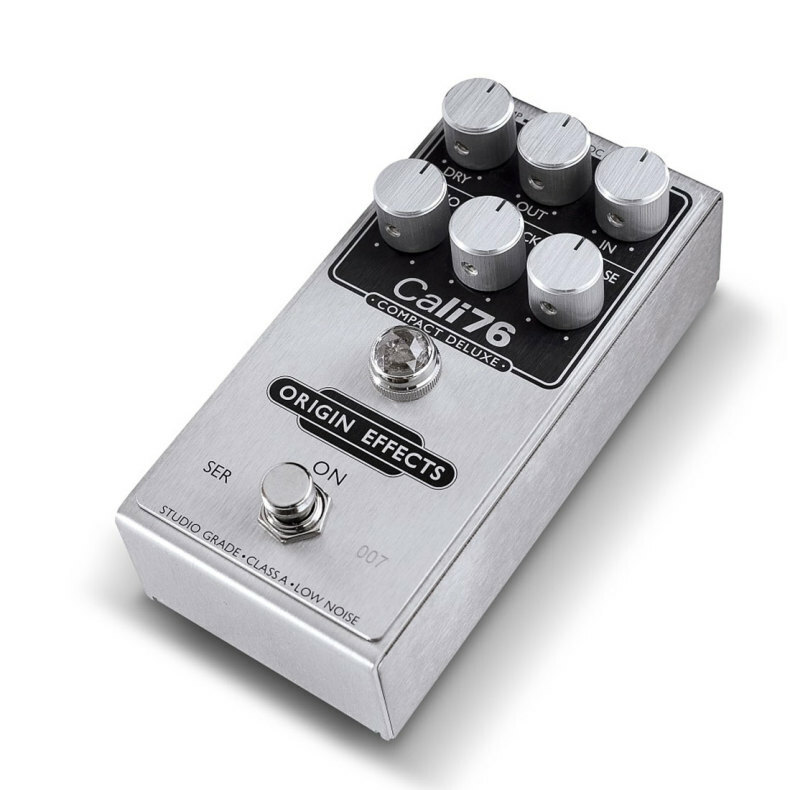 The Cali76 is regarded as one of, if not the best footswitch compressor available on the market today. The pedal was designed in order to give you a useable, high-quality compressor, without too much messing around with knobs that are hard to understand. The Cali76 Compact Deluxe will allow you to fine tune the compression on your guitar by separately adjusting the attack, release and ratio. You can take the pedal from mildly squashed for sustaining to solos to super-compressed funk. Origin Effects modelled their compressor after the famed 1176, and even matched the compression curves from their pedals to the 1176. The Jewel light will act as a VU meter for you to visually monitor how much your signal is being compressed. If you want less compression and more dynamics, you can then turn down the ratio switch and push more dry signal into your amp. The Cali76 is a mains powered pedal only. It doesn't have a 9v battery slot, so that they could use the space for higher grade components, and so that they could have a high-current approach. Higher current will yield purer signal, and true tone! They've also made the pedal flexible in terms of the voltage it uses. So you can run the pedal on 9v or 18v and this will affect the sound of your compression in quite a big way. The easiest way to remember it is, if you use it on 18v you will have more headroom and a slightly more 'open' sounding compressor.